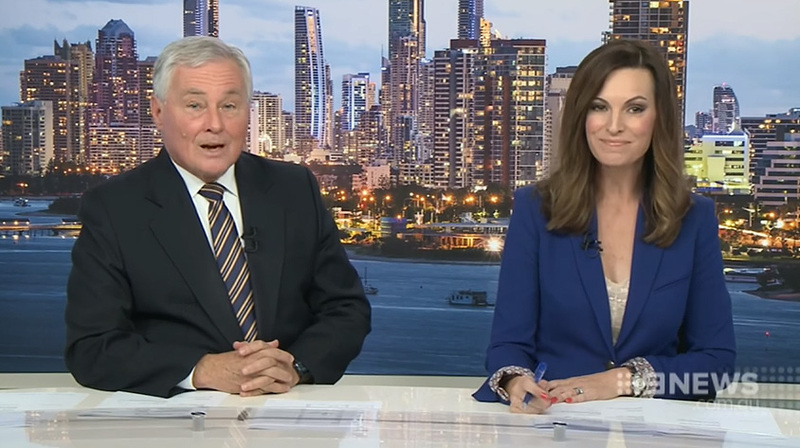 Australia’s 9 News Gold Coast has debut its new two-person anchor format along with a new set. 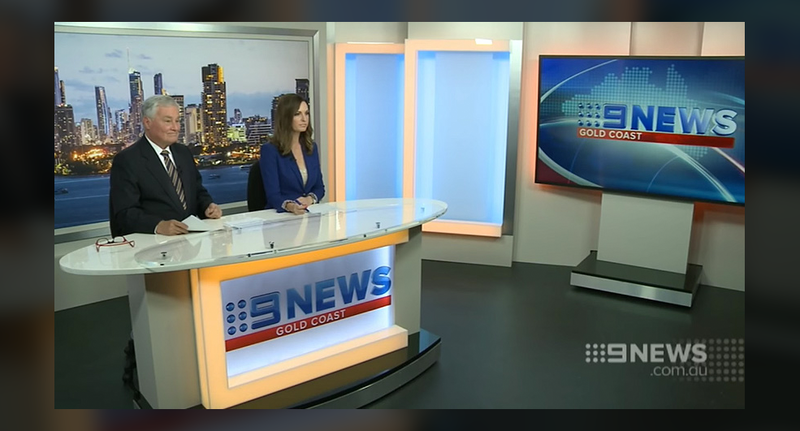 The new set features a two person anchor desk in front of a cityscape flanked by two panels on each side with accent lighting. An additional area to the right includes a large flat screen. Although the set may seem simple by American standards, many Australian networks use the simple, toned down look similar to this.